With spring arriving, winter has reared its ugly head again. The temps that were nearing 60 degrees (F) last week are now mostly back in the 40s. And, the extended forecast for my area doesn't look promising. 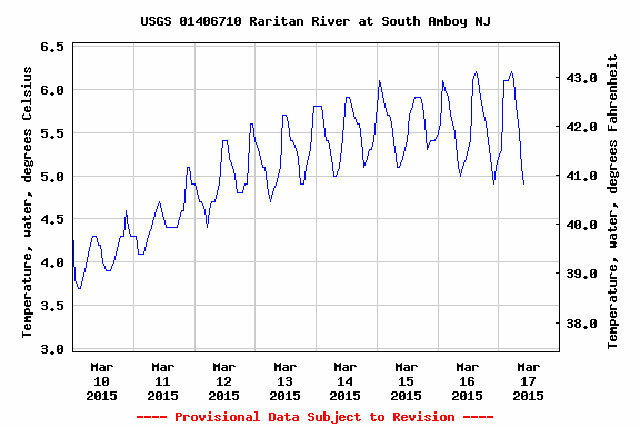 I have been watching the water temperatures in Raritan Bay and they were on the rise. I watch two stations; one in Keansburg and one in South Abmboy at the mouth of the Raritan River. 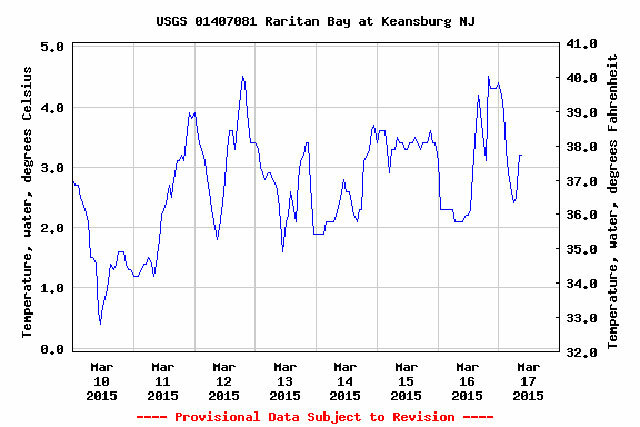 While the South Amboy temps have been slowly climbing – except for Sunday – Keansburg had a few days where the temps have really been off. They finally started climbing again a few days ago. I hope this warming trend continues because as of now the water is about 4 to 7 degrees off for striper activity. I’m going to a kayak fishing event on Sunday, March 22 at Assunpink Lake as it is still a bit too cold for striper activity. I saw a picture of Assunpink Lake posted a few days ago and there was still some ice on it. Hopefully with a couple days in the high 40s, low 50s the remaining ice will melt. We will be targeting pickerel and maybe I can get the largemouth bass to bite. But if there is still ice and we can't get out, I will be back at the fly-tying table waiting for winter to finally leave. This has been a very long, very cold and snowy winter; I’ve had the worst case of cabin fever that I can remember. If I don't get on the water soon, I may wind up like John Daniel "Jack" Torrance. Well, that's not exactly what he said but you get the idea.